Fortunately, Hopa's success with arcade gaming put it in a position to expand and add Hopa Live Casino to its portfolio of options, which has started to build up a sound reputation. The brand's live casino is fully licenced by the United Kingdom Gambling Commission and playable on mobile and classic platforms. 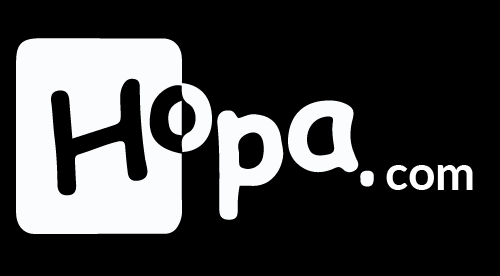 While Hopa Live Casino is playable via desktop and laptop, the development team has created a product that has mobile gamers firmly in its line of sight. To play at the live tables, a user simply needs to create a regular account at Hopa Casino, with easy navigation tabs leading to the regular Casino, Scratch Card and Live Casino lounges. Hopa Live Casino is powered by Evolution, an award winning developer of live online products. You can be sure Hopa's live tables are delivered to laptop or mobile with a well-respected name in the online gambling industry behind them. Other games on the site are powered by a select variety of software developers, including Microgaming. Evolution Gaming is a master at delivering live games to all devices with precision camera work and smooth gameplay, giving Hopa Live Casino players a high-end experience. The product includes mobile play with full-screen HD video, featuring a host of graphics, stats and betting options. To start experiencing live games at Hopa Casino it's necessary to register for a real account. While this means one can't take a look at the realism of the site's live tables beforehand, creating an account is simple. Following either the 'Open Account' button or click on promotional banners and game icons. With fast deposits and instant bonus cash available, players can realistically be gaming live within five minutes of reaching the site for the first time. Live chat response times are fast and friendly and with slick intuitive navigation to launch the games, playing Hopa's Live Casino has an authentic VIP feeling. The gaming lounges at Hopa have three options: the main Casino (slots and tables), scratch cards or Live Casino. Clicking the Live Casino tab takes a player into the lounge, where the games can be selected using tabs or clicking on the bright graphical icons. The tabs available in Hopa's Live Casino are All games, Blackjack, Roulette and Baccarat, with a total of around ten games in the current portfolio. While the range isn't particularly large, it makes navigation fast/easy. Roulette is available in five versions: Live, Immersive, French, Auto and Live VIP, offering extensive gaming scope from novice to connoisseur. Blackjack and baccarat are less diverse but excellent quality – offering Live Blackjack, Live Blackjack VIP, Live Baccarat and Live Squeeze Baccarat. The games feature high quality graphics thanks to sophisticated award-winning software delivering a truly authentic experience, whether the stakes are at the minimum or high table maximums. Surfing away from the Live Casino instantly offers the option of playing hundreds of slots, classic online casino tables, or one of the best ranges of online scratch cards. Hopa Casino's sign up bonus is the perfect way to sample the live action without risking lots of gaming budget, while regular promotions are a nice reason to play regularly. One notable feature at Hopa Live Casino is the brand's seven-tiered Exclusive Club, which offers bonuses and rewards that get progressively more enticing as one moves up a level, starting from New Member and eventually reaching Prestige for high rollers. Hopa Live Casino offers a range of options. These include Visa debit, bank transfer, Skrill, Neteller and Entropay. Withdrawal requests are made after 48 hours, offering flexibility in terms of reversing the money back to the casino wallet. Hopa's customer support ethos is 'Customers Are Really Everything' (CARE), so players can enjoy the live tables while having live chat, email and telephone support available between 8am and 1am (CET), seven days a week. Hopa Live Casino offers players a high-class selection of games using the latest live technology for a smooth experience via laptop or mobile. With a classic casino and a great range of scratch cards, it's a site worth getting excited about!